Are you living in Oxnard or planning a move? With our Oxnard Portable Storage Units, you can move without any hassle. Store all your valuable belongings in one of our storage facilities. Our staff of experienced movers will help take your belongings to and from the storage unit. All of our secured storage units can accommodate both residential and commercial storage needs. Our goal at Honor Storage is to provide you with affordable storage units that are clean and secure as well. Our loyal customers can enjoy very attractive rates with occasional special discounts for new move-ins. Find the perfect storage unit with us! Honor Storage is the #1 provider of rental storage units in the greater Oxnard area. We are conveniently located at 3112 Seaborg Ave, Ventura. 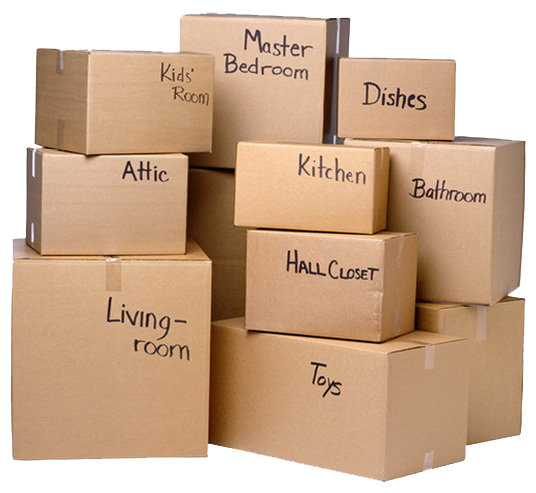 We will get your belongings personally from your home and store them as if it were our own belongings. Next to Oxnard, we also serve the community of Camarillo. Portable storage units are a great way to clear up much needed space, without having to lose or throw away any sentimental or valuable belongings. Our safe and secure storage facility near Oxnard, allows you to reduce clutter, store valuable items securely, and free up much needed space. If you're looking for a local Oxnard portable storage company near your home or office that provides reliable service and options that meet your specific needs – then Honor Storage the right choice for you. Unlike some other storage companies, we have years of experience in the storage industry with an incredible, highly professional staff that knows your storage needs inside and out. In short, if you’ve been looking for premium Oxnard self storage, you’ve come to the right place! Oxnard is the place for family fun located on the coast of Ventura County. Spending an afternoon pedaling a four-wheel surrey, strolling thru Mandalay Beach, and finishing with a dinner for two at the local winery is a common weekday for locals. Your family can enjoy the harbor and live entertainment from the local businesses. Oxnard, California is known as the largest producer of strawberries in all of California. They supply the state with a third of its annual quantity! Just sixty miles northwest of Los Angeles, California, Oxnard is home to the California Strawberry Festival each year and neighbor to the beautiful Channel Islands National Park. Our Oxnard self-storage company will pick up and deliver your portable storage unit for you. When you’re ready to get your belongings back, we return the storage unit right away at your convenience. We do our best to make this process as easy as possible for our customers.